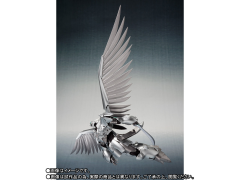 From the classic anime series Panzer World Galient comes a Robot Spirits figure of Hikouhei in a beautiful silver color scheme! 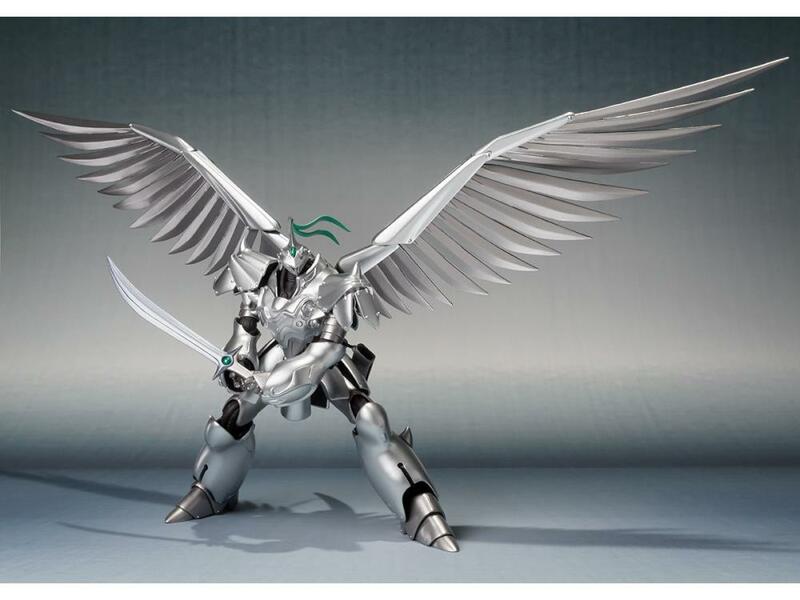 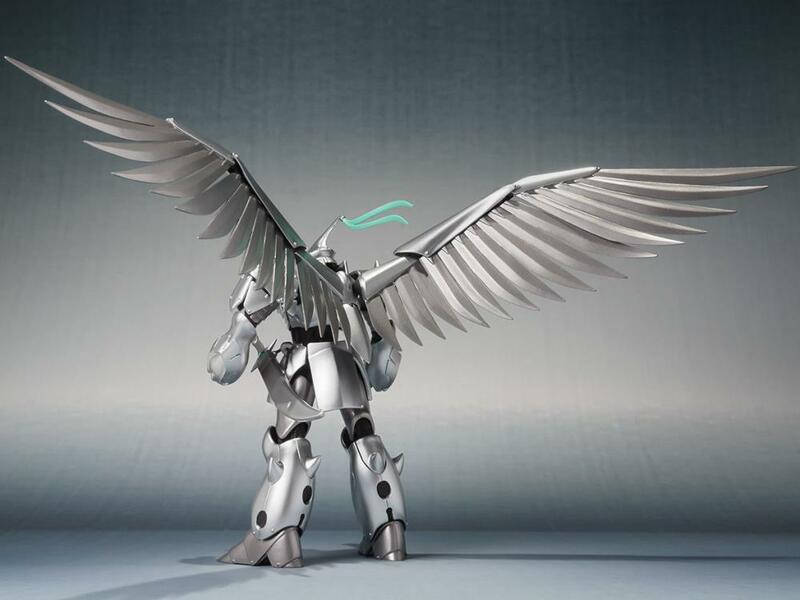 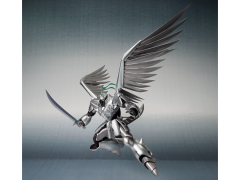 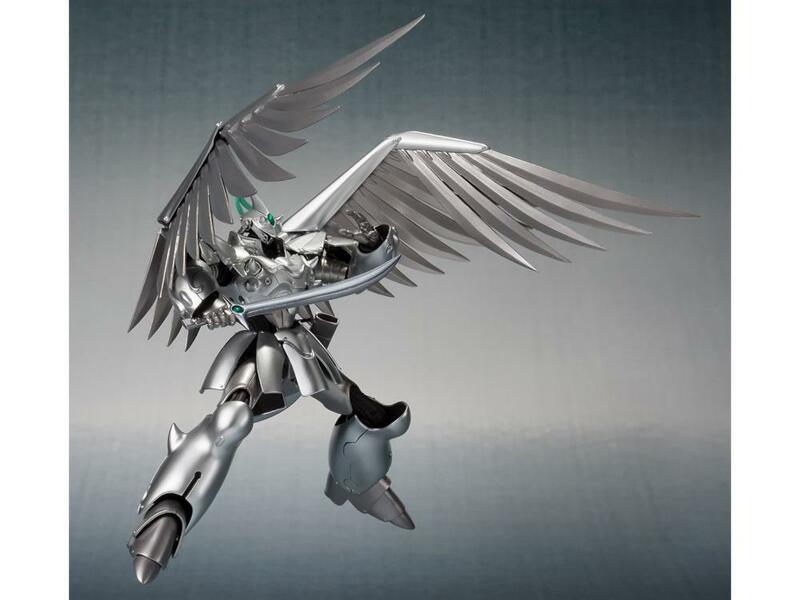 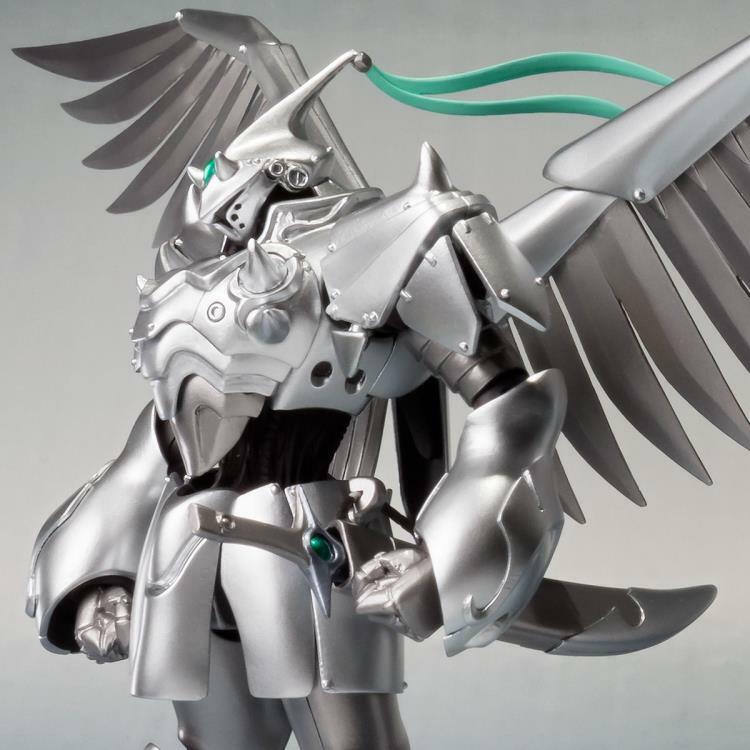 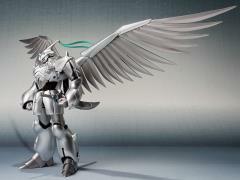 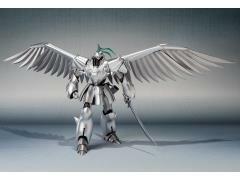 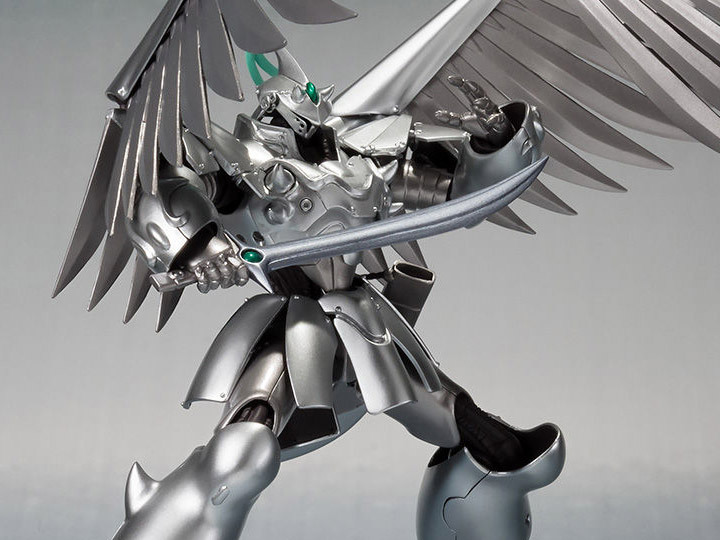 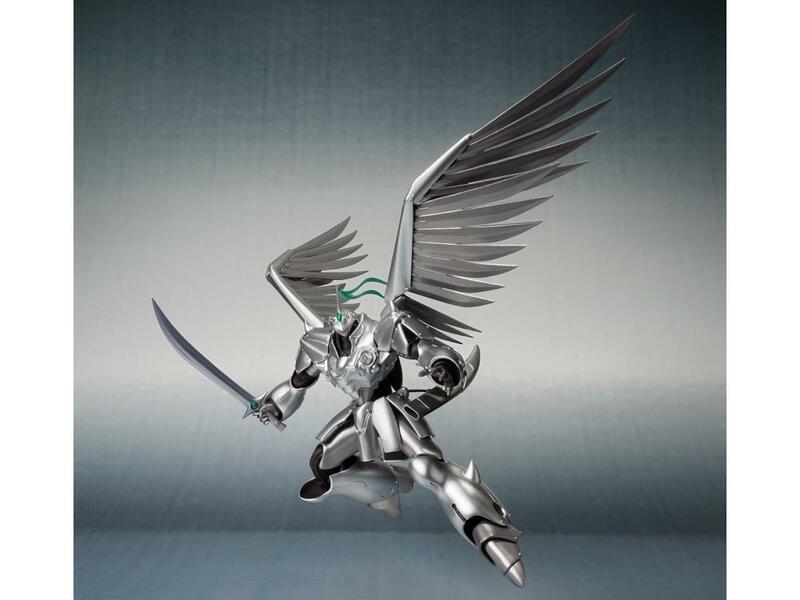 This exclusive figure includes a set of large wings, interchangeable hands, a trusty sword, and a sheath. 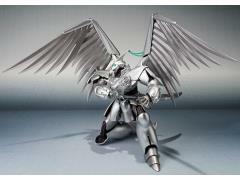 Featuring Hikouhei in a silver paint scheme!